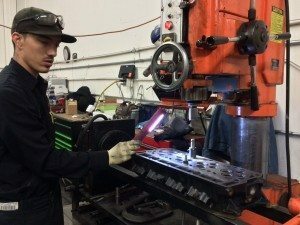 Nearly everyone who operates, owns or manages heavy diesel transportation equipment knows the Federal Government instituted regulations in an attempt to reduce emissions, fuel consumption and bolster a positive impact on the environment, but how does remanufacturing of diesel engines and engine components fit into the equation? Instinctively one can surmise that remanufacturing would have a positive impact on the environment. Remanufacturing has increasingly become a go to solution for engines and components for reasons that include cost savings and convenience. However, few really think about the overall positive impact remanufacturing can have on the environment. When you boil it down what is remanufactuing? In the most simplistic terms it is really synonymous with recycling, but not what most people think of in terms of recycling. Most people think of recycling paper, plastic and aluminum, and it being turned into other products. When an engine has met its useful life it is either stripped down for reusable parts or put into a landfill or scrapyard. A landfill provides an engine owner and the environment with zero benefit and scrapping it will provided pennies on the dollar. Remanufacturing however will provide a new engine that can continue to generate income and preserve capital for the owner or operator. Professor Lund of Boston University wrote a book titled The American Edge: Leveraging Manufacturing's Hidden Assets. In his book Professor Lund distinguishes the differences between remanufacturing and recycling in that remanufacturing "recycles" the original value added to raw materials. Additionally, remanufacturing adds to overall economic prosperity in ways that would not exist in traditional recycling or scrapping. When an engine or engine components are remanufactured the direct benefit to the owner/operator is cost savings. When an engine or engine components are completely recycled or scrapped they lose their manufactured value; the value that was created via raw material, labor, manufacturing cost, cost of sales etc.... In fact, it can be argued that scrapping or true recycling is more labor intensive than remanufacturing because you have added costs of collection, labor, energy and processing to ultimately arrive back at raw unfinished materials. With remanufacturing you capture the original intended value of the engine or its components and minimize the costs of energy, labor and processing. So, what does this ultimately mean for the environment and reduction of emissions? In its most simple form we know that true recycling destroys the created value of an engine and its components for the reasons already discussed. Once an engine or its components are reduced to raw material, new and different products are made from it or new engines and components are again manufactured. This now includes increased costs of energy, labor and processing. When remanufacturing you are eliminating those costs, reducing energy and lowering the environmental impact of manufacturing. This helps save money versus buying new because a new product has all the added costs of turning raw material to finished goods. Remanufacturing an engine or engine components is a great way for owners and operators to save capital which is typically paramount in the decision making process, but also has the somewhat unintended positive consequences of reducing manufacturing emissions and helping to preserve and/or improve the environment. Additionally, when remanufacturing there are new products, production methods and technologies that can be added to the process which can further enhance the useful life, reliability and economy of diesel engines and their components. Overall, remanufacturing of all types of durable goods is estimated to save energy equal to that produced by 5 nuclear power plants and/or 10 million barrels of oil. Lastly, remanufacturing of durable goods like diesel engines and components saves raw materials that would otherwise fill an estimated 160,000 rail cars or a train over 1,000 miles long in a given year. 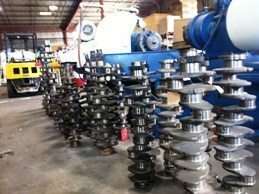 Please feel free to call us at Capital Reman Exchange and learn how we can help you with your remanufacturing needs.